17-04-2019, 09:17 - Best affordable titles to get on MSX2? 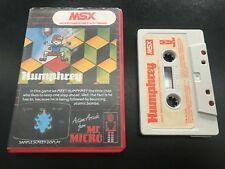 16-04-2019, 19:46 - Best affordable titles to get on MSX2? 16-04-2019, 19:19 - Best affordable titles to get on MSX2? 16-04-2019, 19:06 - Best affordable titles to get on MSX2? 15-04-2019, 18:42 - Graphic conversion for any 256x192 into MSX1 graphics (Source code in Blitz Basic). 15-04-2019, 18:36 - Detecting OpenMSX or RealMSX? 09-04-2019, 23:23 - Rectangle Intersection Z80 machine code implementation - any tips? 09-04-2019, 19:55 - Rectangle Intersection Z80 machine code implementation - any tips? 09-04-2019, 17:57 - Rectangle Intersection Z80 machine code implementation - any tips? 07-04-2019, 01:50 - Graphic conversion for any 256x192 into MSX1 graphics (Source code in Blitz Basic).